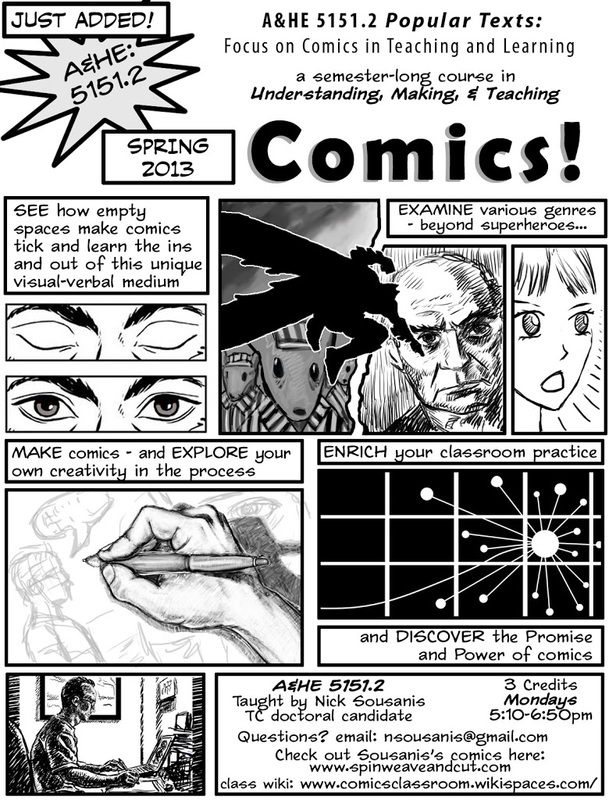 I’m pleased to announce that the comics course for educators i developed at Teachers College will once again be offered in the Spring term. 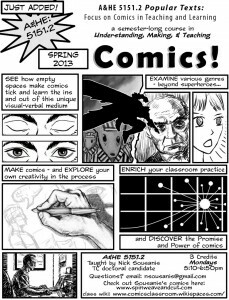 It’s under a new name and department, but a similar focus on understanding, making, and exploring ways to incorporate comics into the classroom. More info below and on my comics classroom wiki. Curious about comics? Interested in using them in your classroom? 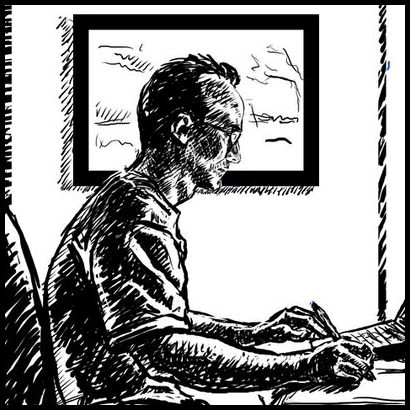 By embarking on a journey of study and practice, making and application, participants will expand their appreciation for comics and their understanding of the possibilities within this medium and its various genres. Ultimately, this will lead to the development of ways to enrich our classrooms and our students. Open to all majors.